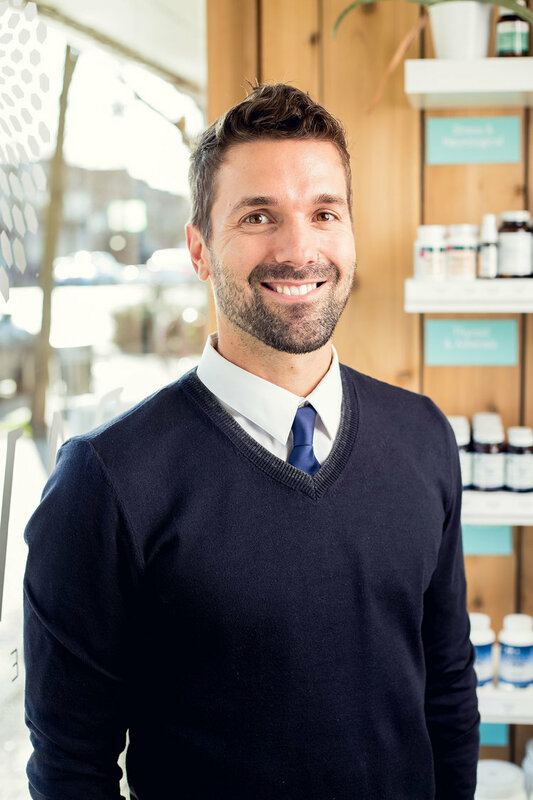 Dr. Nick grew up in the small town of Osoyoos B.C and completed his undergraduate degree in Biology at Okanagan University College, now known as UBC Okanagan. He went on to attend Boucher Institute of Naturopathic Medicine, graduating in 2007 as a licensed Doctor of Naturopathic medicine. Following graduation his desire to deepen his understanding of other healing modalities took him to South East Asia and India with his now wife and business partner Dr. Sonya Jensen. They Opened Divine Elements in 2009 and over the years have had the opportunity to mentor under some industry leading experts in Hormone health and Detoxification. Dr. Nick is constantly learning and is extremely passionate about teaching individuals to become the best version of themselves. Being a parent as well as a Doctor, Dr. Nick knows that in order to teach it you have to live it, and so both Dr. Sonya and Dr. Nick follow the philosophy of live it to lead it!